The city of Port Adelaide is a working port that includes a power station, shipyards and fine old buildings that date from the early colonial days when sailing ships transported goods and settlers to the new colony. 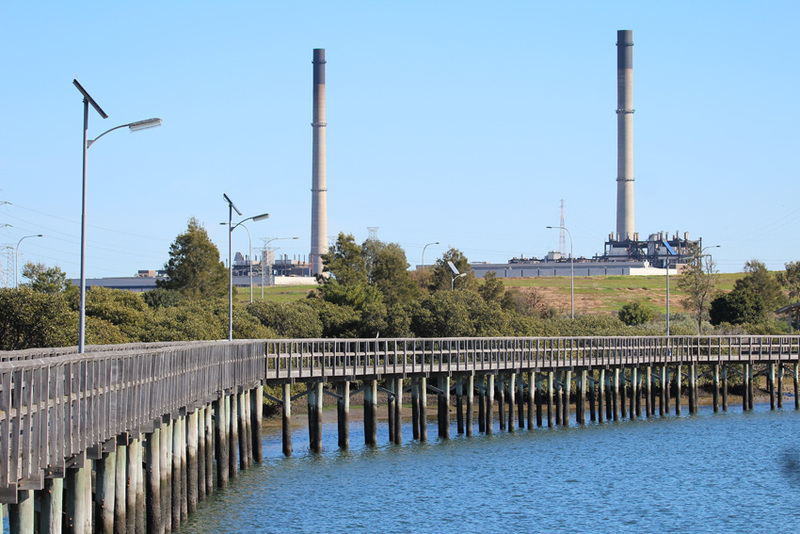 Yet only a few kilometres from this industrial zone is a haven for wildlife both above and below the water. Mangroves once dominated this area but land clearing, to establish new beachside suburbs, decimated this crucial coastal environment. Eventually local communities and conservationists finally put pressure on the government to preserve what was left. This weekend I grabbed a camera and spent a leisurely hour walking around the Port taking in the sites and enjoying some seafood at one of the oldest hotels in the state. Early in the afternoon I drove a couple of kilometres to the Garden Island boat ramp where mangroves still dominate the shoreline of the Port River. This complex system of intertidal mudflats, seagrass meadows and the thick cover of mangrove trees supports a vital nursery area for many of the fish, prawn and crab species that live in St Vincent’s Gulf; Adelaide’s marine backyard and larder. As I walked along the little jetty that skirts the edge of the mangroves I chatted to a couple of fishers working the incoming tide. They had spotted a pod of dolphins cruising along one of the channels a little earlier in the afternoon and a pair of pied cormorants were boldly eying their bucket of baitfish as we spoke. 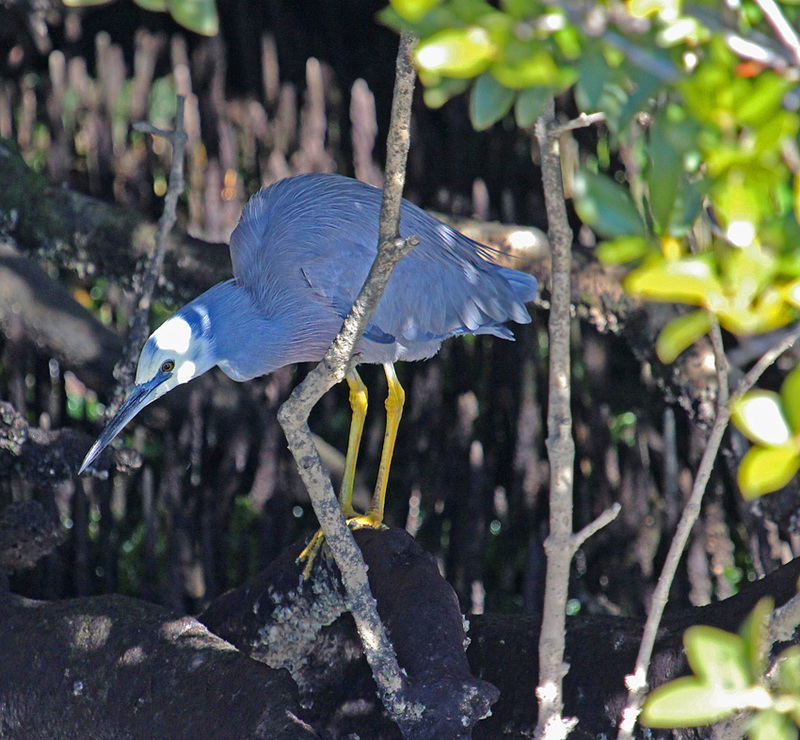 The jetty also provides an excellent view into the mangroves and within a few minutes I had spotted a white faced heron perched on a low branch hunting for crabs. 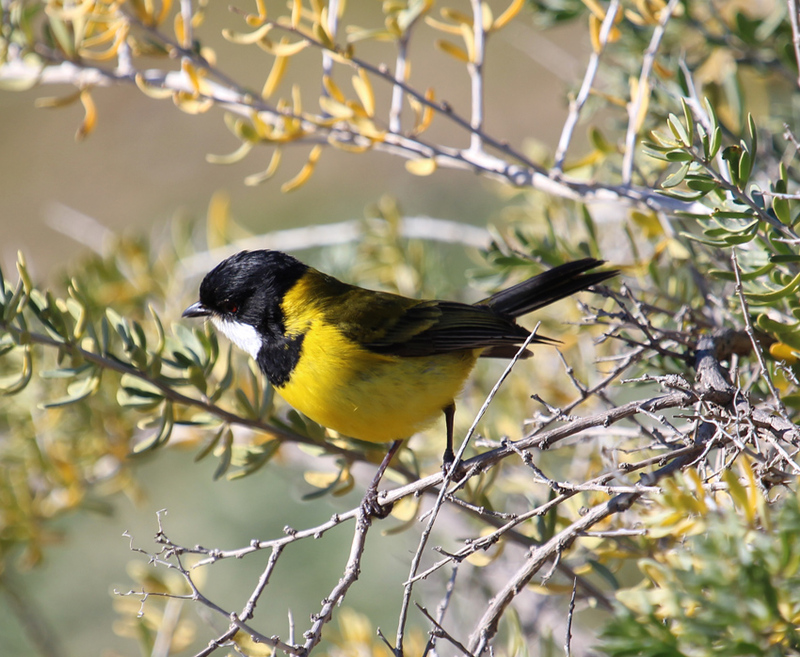 Nearby, a glorious little golden whistler was searching for insects near the entrance to a tidal creek. 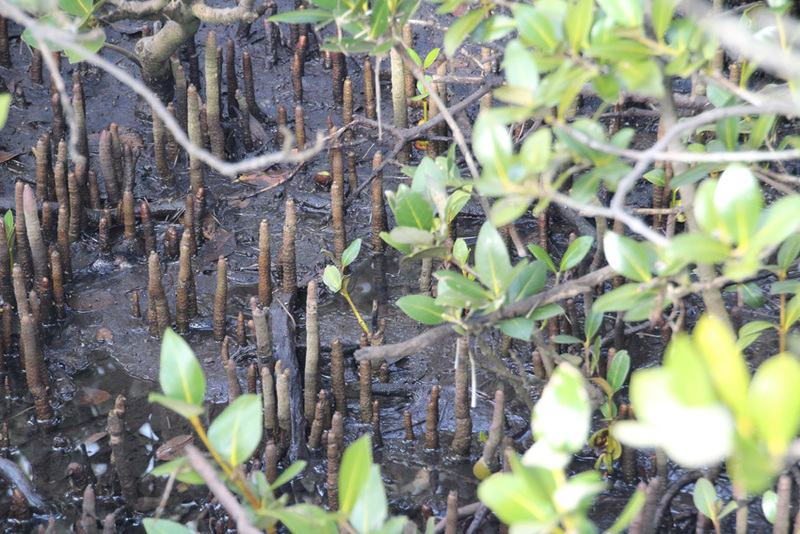 Because the tide was out I had the perfect opportunity to walk into the mangroves and take a closer look amongst the tangle of limbs and bizarre little pneumatophores that protrude like blackened fingers from the forest floor. The sticky mud between these gas absorbing extensions of the root system was pock marked with little crab holes. 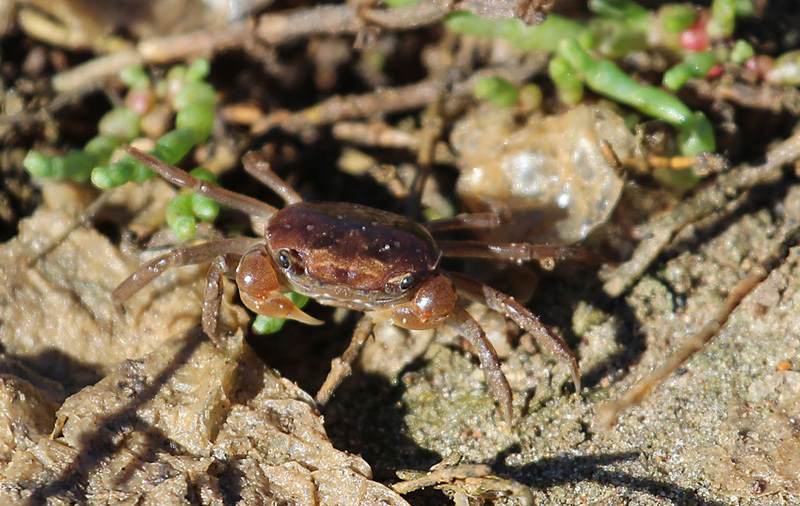 It took some patience and a mini war with a squadron of mosquitoes before I caught a crab in the open and managed to capture an image. A little itchy and with my boots liberally coated with dark mud, I decided to call it a day. Later in the year I will return to another area of mangroves a little further down the coast and share some more images and notes about the extraordinary animals that exist in this harsh and unusual habitat.